Reservations for this evening may be made online at www.hprtickets.org or by calling the station (955-8821) during regular business hours. Tickets are $30 general, $25 for HPR members, and $15 for students with ID; service fees are applied to online orders. The Atherton Studio is located at Hawaiʻi Public Radio, 738 Kāheka Street. Doors open a half hour before the performance. Advance ticket purchase strongly encouraged as the house is frequently sold out before the performance date. Rachel Gonzales (vocalist) is a Hawaiʻi native and widely regarded as one of the best and most versatile of Hawaiʻi's singers and musicians. She is fluent in all musical languages, be they jazz, pop, or classical. She has performed extensively throughout the state, including frequent appearances at HPR, as well as at Duc's Bistro. In addition, she has performed at the duMaurier Jazz Festival in Vancouver, B.C., and at Ella’s in Spokane, Washington with pianist Les Peetz. Les Peetz (piano) has performed over the last thirty years in Hawaiʻi, Washington, D.C., and the Pacific Northwest, on numerous occasions at Hawaiʻi Public Radio. He studied informally with pianists Joe Kloess and Ron Elliston. Mr. Peetz has also written two grant-supported chamber works and is a published fiction writer. He has appeared with Rachel Gonzales throughout Honolulu and the Pacific Northwest. 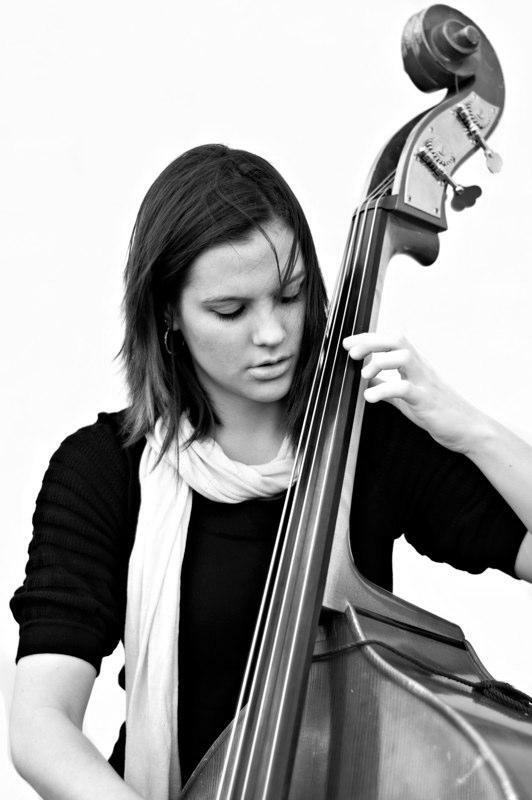 Kathryn Schulmeister (bass) has a wide range of musical interests including improvisation, experimental, classical, jazz, and avant-garde contemporary. Born in Hawaiʻi, Schulmeister began studies of the double bass at age 9. She received her Bachelor of Music degree from the New England Conservatory of Music in Boston and completed her Master of Music degree at McGill University in Montréal in May 2013. She has performed with the Hawaiʻi Symphony Orchestra, as well as several adventurous new music ensembles.